Online Receiving Material Management System project is a website application which is implemented in PHP/MySQL. 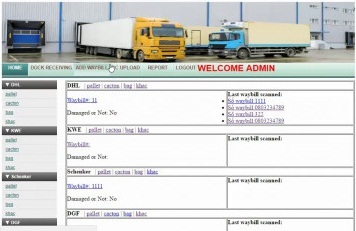 E-way bill is mandatory now to transport goods from one state to another for the registered Companies and it’s become critical to entry each details in the website. To accomplish ease of doing the same, user friendly Online Receiving Material Management System is ready for to worth of your Valuable Office operations. This webpage is built using PHP/MySQL.